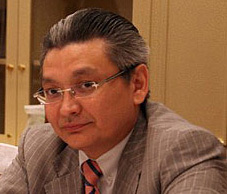 Unidentified men have robbed the assistant to the president of the International Chess Federation (FIDE), Kirsan Ilyumzhinov. The robbers opened the door of Berik Balgabaev's Jaguar XF car and took away a briefcase, tablet and about 100,000 roubles in Moscow late Tuesday night, according to Interfax news service. The robbers also took away important documents. Mr Berik Balgabaev later went to the police of the Central District of Moscow, the source added. The press service of the MOI of Russia in Moscow has confirmed the robbery in central Moscow. did those documents relate to chess and fide?